Friction stir processing (FSP) is a quite recently developed solid-state process involving surface modifications for fabricating metal matrix surface composites (SCs). 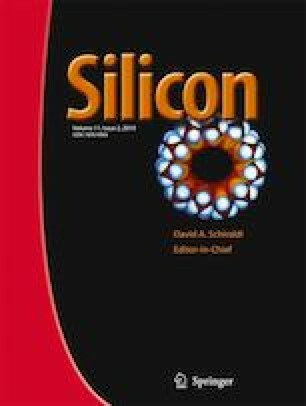 In this work, FSP has been utilized to fabricate SCs of AA5059 alloy matrix using SiC particles as reinforcement. Current method of SCs fabrication involves repeated/ multi-pass FSP overlapping each other at constant process parameters. Three FSP passes were carried out with two sizes of SiC particles, viz. micrometer SiC (μ-SiC) and nanometer SiC (n-SiC). The values of speed of rotation, speed of traverse, tool tilt angle and tool offset were kept constant at 710 rpm, 50mm/min, 2∘ and 1.5 mm respectively. Mechanical properties (microhardness and ultimate tensile strength) corresponding to each condition were measured and compared with an aim to investigate the effects of SiC particles sizes and multiple FSP passes. Results reflected that an enhancement of \(\sim \)58% in microhardness was achieved in three pass FSP with n-SiC particles. Corresponding to this, ultimate tensile strength of 340 MPa was achieved which is significantly higher than base metal (321 MPa). n-SiC particles were found to be more effective as compared to μ-SiC particles in enhancing the mechanical properties of SCs obtained via multi-pass FSP route. The results obtained during mechanical testing are supported by optical microscopic and SEM images and are found in good corroboration.